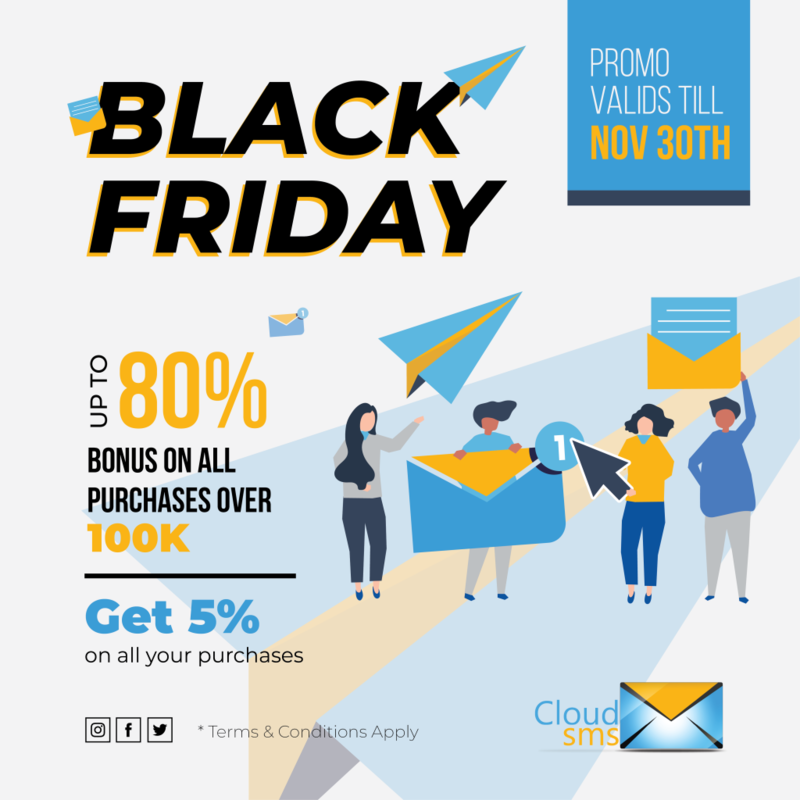 CloudSMS, your number one, most reliable bulk SMS provider in Nigeria offers a black Friday special deal for you our dear existing and new customer. Mouthwatering deals up for grabs. 80% discount on all purchases of over a 100k units. You don’t want to miss these offers this black Friday. Hurry while offer last and enjoy these and many more courtesy of CloudSMS. Don’t forget to register with us to enjoy these benefits. For more information on offers and purchases you can logon to, call 08052257405, 08059664130, 08091234508 or WhatsApp +1(352)-559-2355.